“We rolled out from “The Mound” near Weldon Spring, Missouri just after sunrise; our objective was a hearty breakfast at Dutzow Deli. 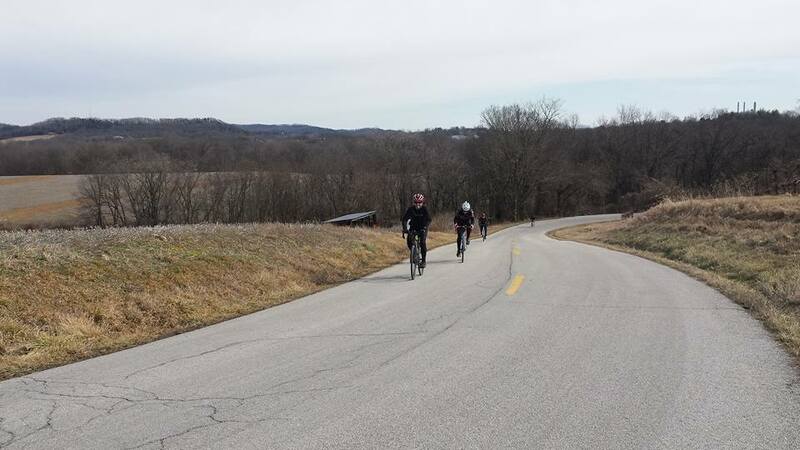 Navigation was simple — follow the Hamburg Trail to the Katy Trail and turn right…both trails are gravel and the Katy literally cuts through the deli parking lot. 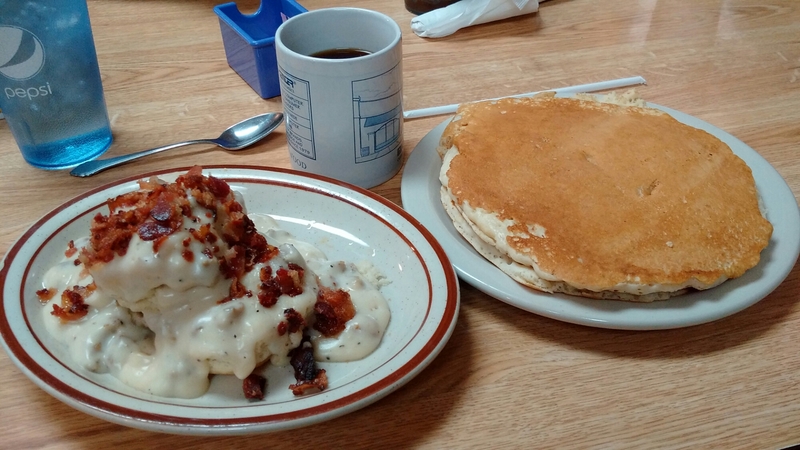 Dutzow Deli features a couple of signature items on the breakfast menu, including The Volcano and The Katy Scrambler, and happily a bottomless cup of coffee. Breakfast always seems to taste better after a brisk morning ride. On the route back, we added a few select loops off of the Katy to realize some climbing miles, I.e. Schell Road, Klondike Park, etc. As the day progressed, I realized that I would come up short of my metric century goal, because of a commitment to attend an event with family. I stopped at 58.1 miles, attended the event, and then returned home to add 10.1 miles on the trainer to ensure a good faith effort, bringing the day’s total to 68.2.” -Steve F.